In April 2013 in Travis County, Texas, where the capital city of Austin is located, District Attorney Rosemary Lehmberg was arrested for drunk driving. Her blood alcohol level was almost three times the legal limit (.08 is the threshold, and her level was .23), and there was an open bottle of vodka in her car, in violation of the state’s open container law. 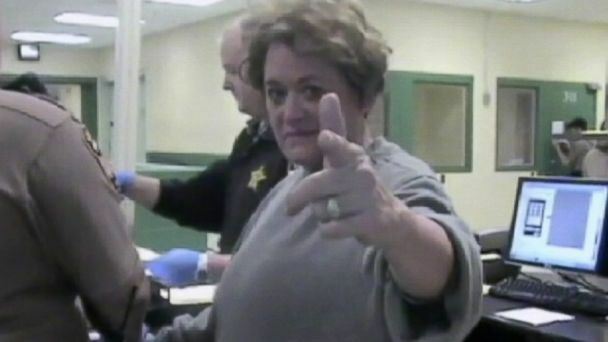 Dash cam and police station videos, which are available for viewing on YouTube, show Ms. Lehmberg failing sobriety testing and taunting arresting officers and even threatening them at the police station. One of the officers described action that took place off camera in which she kicked doors and acted violently. Her bad behavior also included rudeness, being uncooperative, and pointing her finger like a gun. And eventually she had to be placed in a restraining device. Reports say her behavior could have earned her a felony charge for assaulting a police officer. Ms. Lehmberg pleaded guilty to drunk driving and served about half of a 45-day sentence, but said she would not resign from her position of trust as DA. Ms. Lehmberg has been battling alcoholism for some time, according to reports. Alcoholism does not automatically preclude a person from being a public servant, even a prosecutor. However, someone whose alcoholism leads to an arrest for driving drunk, a crime that too often ends in the death of innocent citizens, followed by the poor behavior demonstrated by Ms. Lehmberg, has proved himself or herself to be unsuitable for the role of prosecutor. Put in the best possible light, it both looks bad and smells bad: You simply cannot have a confessed drunk driver as a prosecutor. Among those who think Ms. Lehmberg should have stepped down is Texas Governor Rick Perry, although he has no official authority over county DAs. Following her refusal to step down, Gov. Perry said he would cut $7.5 million in state money from Ms. Lehmberg’s Public Integrity Unit unless she resigned, which he later did through a line item veto. By law, the governor has veto authority. For acting in the best interest of the people of Travis County, a jury decided it was an abuse of his power, and indicted Gov. Perry on two felony counts. An Austin attorney filed a lawsuit to remove Ms. Lehmberg from office, but last December a judge ruled that she could keep her job. That attorney has now filed an ethics complaint against her, citing alleged unreported campaign contributions Ms. Lehmberg used to defend herself in the removal lawsuit totaling $227,000. As it turns out, the Public Integrity Unit has a history of politically motivated prosecutions that failed for lack of substance. Republican Sen. Kay Bailey Hutchinson was indicted, but never tried, and Republican Congressman Tom Delay was indicted, tried, convicted and then had his conviction overturned on appeal for lack of him having actually committed a crime. It appears the Unit is more concerned with generating political results favoring the Democrat Party than it is with integrity. Sen. Hutchinson may run for governor, and Mr. Delay had earned the hatred of Democrats through his activities. It is not a stretch to use the term “corrupt” in describing at least some of the Unit’s actions. It’s interesting that the source of the action against Republican Gov. Perry arises from the very office that he defunded because its head, the convicted and jailed drunk driver Rosemary Lehmberg, refused to do the right thing and resign. You see, Travis County, Texas, is heavily Democrat, and Ms. Lehmberg is a Democrat. The grand jury process is secret and entirely controlled by the prosecution, and the accused has no opportunity to argue charges made by the prosecution, and in fact is not even present during the process. Which is the reason for the now-famous observation that through the grand jury process you “can indict a ham sandwich.” It is instructive that the staunchest defenders of the grand jury system are prosecutors. Gov. Perry would no doubt prefer to replace the sour grapes on his ham sandwich with Swiss cheese. During the arrest procedure, Ms. Lehmberg repeatedly accused police of ruining her career by arresting her for being three-times-the-legal-limit drunk behind the wheel. Then, her Public Integrity Unit goes after a sitting governor in a way that results in the Governor having an indictment and a mug shot on his record. Whose career was really damaged by a third party? And who benefits from this episode of gutter politics by Democrats?